It is possible to get 1 or more questions answered through mail (maximum 3 questions). When you send a recent picture of yourself, I focus on you and answer your questions from a clearvoyant/intuitive part of myself. I can tune into a situation, an event, a friend, a family member or child, a deceased one and also into a physical situation. 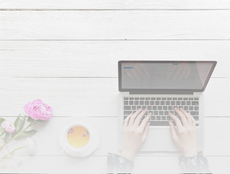 If I need more information, I will send you a return email with a couple of questions as soon as possible. You will receive your answers within 24 hours. Another option is a tarot spread as an answer to 1 questions. This can be, for instance, a question about a choice between 2 options for which you need more information. Another example could be that you are in a situation and you wish to know which way it is headed (on the short term). 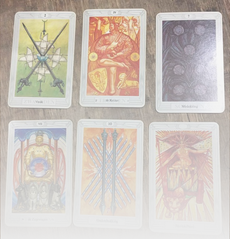 I will send you back a picture of the tarot spread, with my explanation.